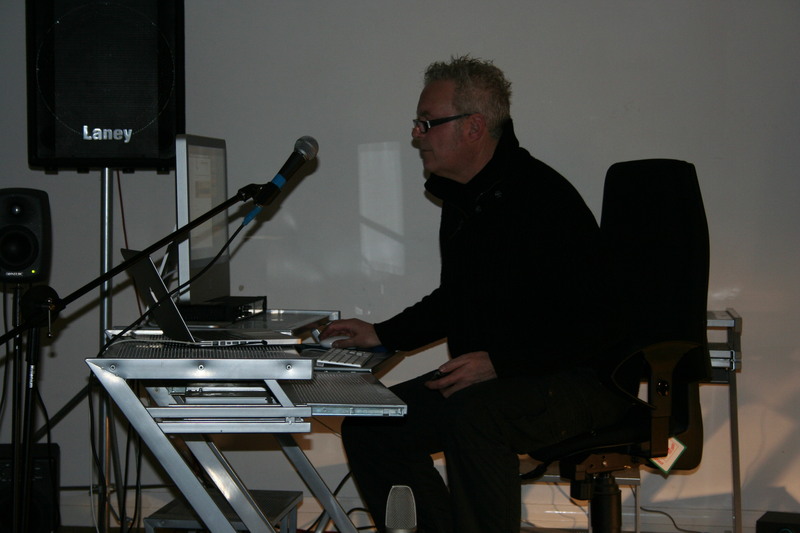 S O U N D I N G [S] ‘in the bakery’: mixed from a sonic installation, which took place on 6th April 2013, in a disused bakery – Bridport, Dorset UK – by David Rogers and Joe Stevens [metamedia]. 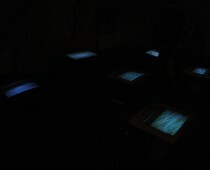 The installation saw the artists investigate the intersections and relationships between architecture, space and sound. A live recording of the installation has been treated to create layers of textures to create a related but completely different work. The work finds David and Joe shifting their approach to the uses of field recordings. Taking the artists into new directions in the editing of sound, integrating aspects of rhythm, signal processing and spatial recording within the framework of minimalist composition. Interrogating the perceptual boundaries between noise and music, researching the potential for sound to be embed back into the architecture. 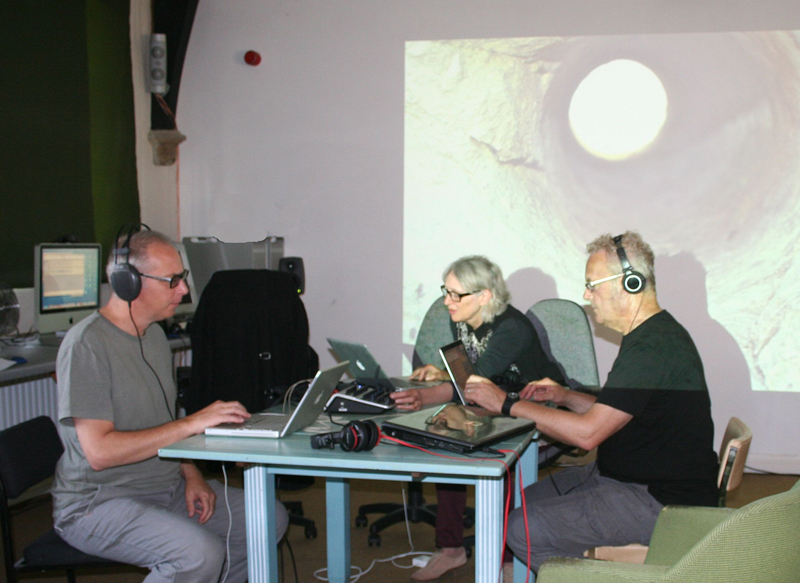 Ivon oates, Mandy Rathbone, David Rogers and Joe Stevens [metamedia] experiments in reinterpreting the landscape – working from and experimenting in the Drill Hall, sonically exploring Portland quarries, showcasing work in progress. On March 9, 1913, during our bloody victory over four thousand passé-ists in the Costanzi Theater of Rome, we were fist-and-cane-fighting in defense of your Futurist Music, performed by a powerful orchestra, when suddenly my intuitive mind conceived a new art that only your genius can create: the Art of Noises, logical consequence of your marvelous innovations. Luigi Russolo – opening paragraph of his letter to Francesco Balilla Pratella. with MacBook Pro as ‘The Voice’ accompanied by the G3G5iMAC orchestra. experimental performative collaboration between artists Mandy Rathbone, Joe Stevens and David Rogers. Focusing on site-specific acoustic interventions. and David Rogers. Focusing on site-specific acoustic interventions. Limited edition CD no longer available.